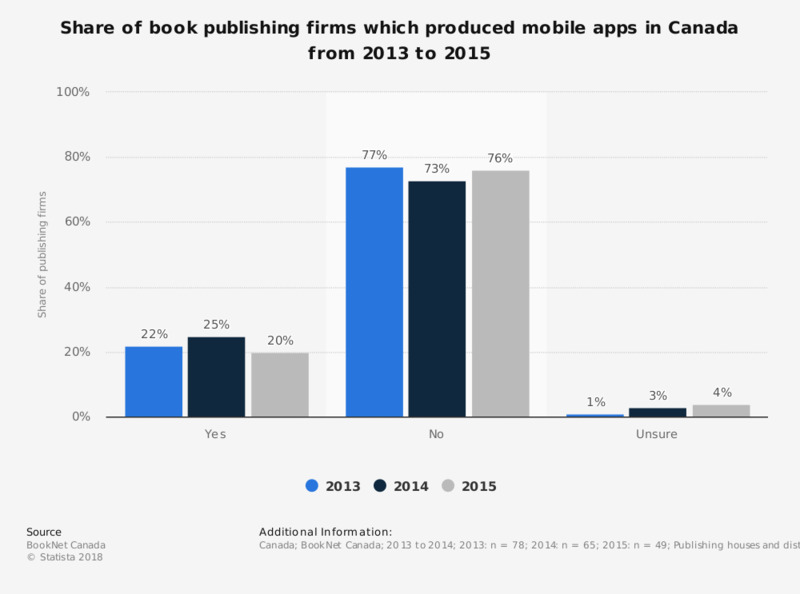 This statistic presents the share of book publishers that were producing mobile apps in Canada from 2013 to 2015. In 2014, 25 percent of publishers were developing mobile apps. This was a 3 percent increase from the previous year.